Canada East, previously known as Lower Canada, formed one-half of the British colony of the Province of Canada. 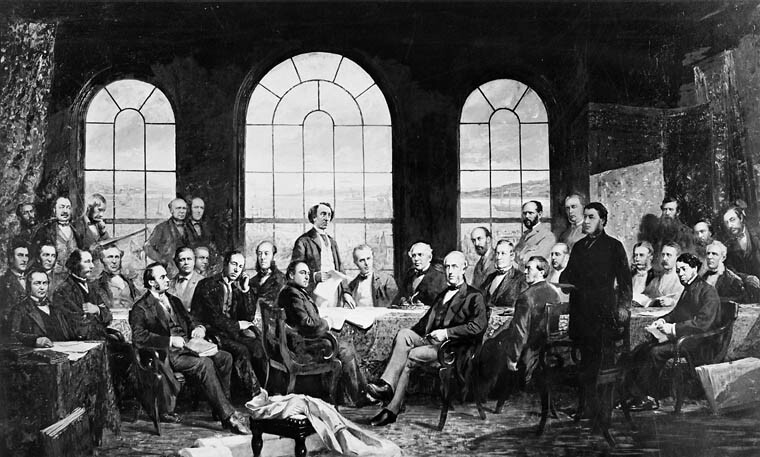 Confederation refers to the process of federal union in which the British North American colonies of Nova Scotia, New Brunswick and the Province of Canada joined together to form the Dominion of Canada — a new country. The term Confederation also commonly stands for 1 July 1867, the date of the creation of the Dominion. Before Confederation, British North America also included Newfoundland, Prince Edward Island, British Columbia, and the vast territories of Rupert’s Land (considered the private domain of the Hudson’s Bay Company) and the North-Western Territory. 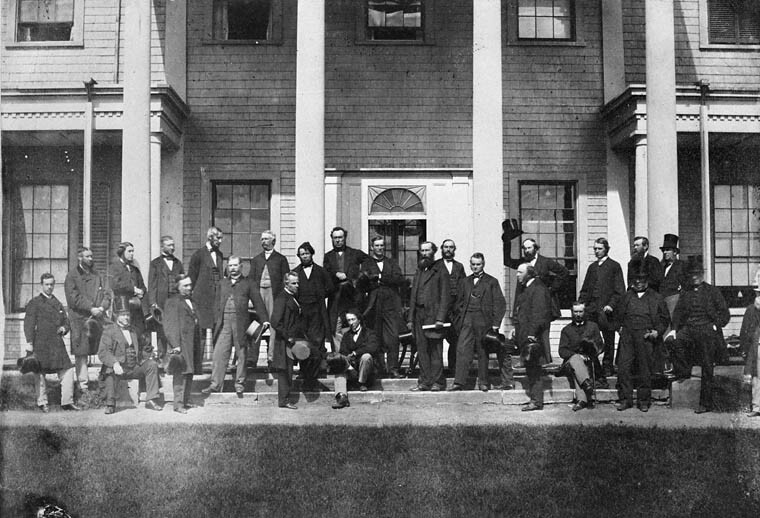 Beginning in 1864, colonial politicians, known as the Fathers of Confederation, met and negotiated the terms of Confederation at conferences in Charlottetown, Quebec City and London, England. 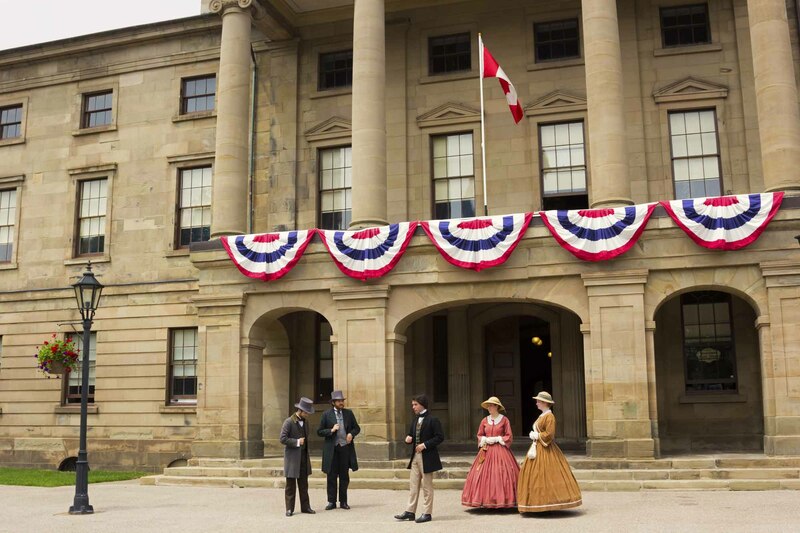 Their work resulted in the British North America Act, Canada’s Constitution, which was enacted by British Parliament. 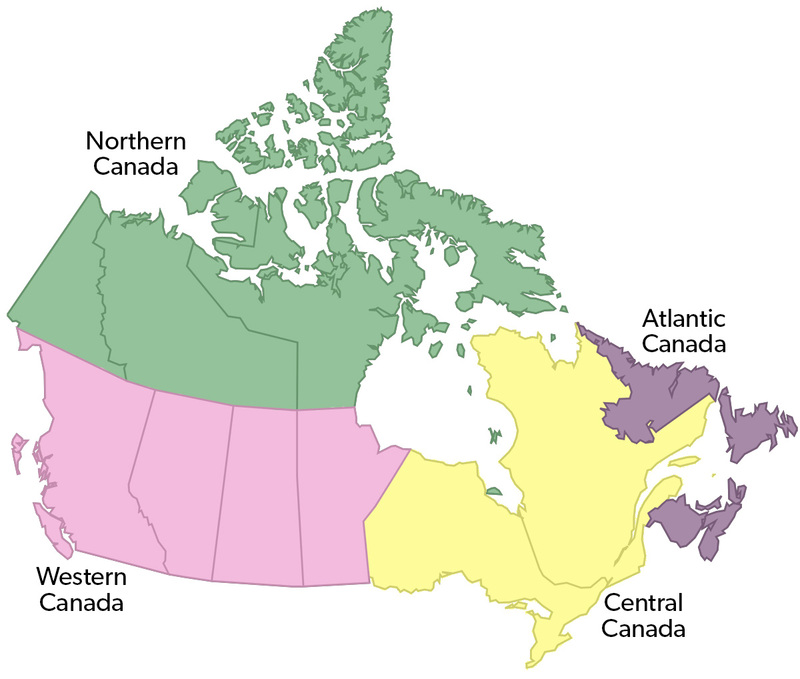 At its creation in 1867, the Dominion of Canada included four provinces: Nova Scotia, New Brunswick, Quebec and Ontario. 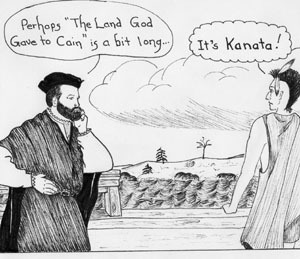 Between then and 1999, six more provinces and three territories joined Confederation. 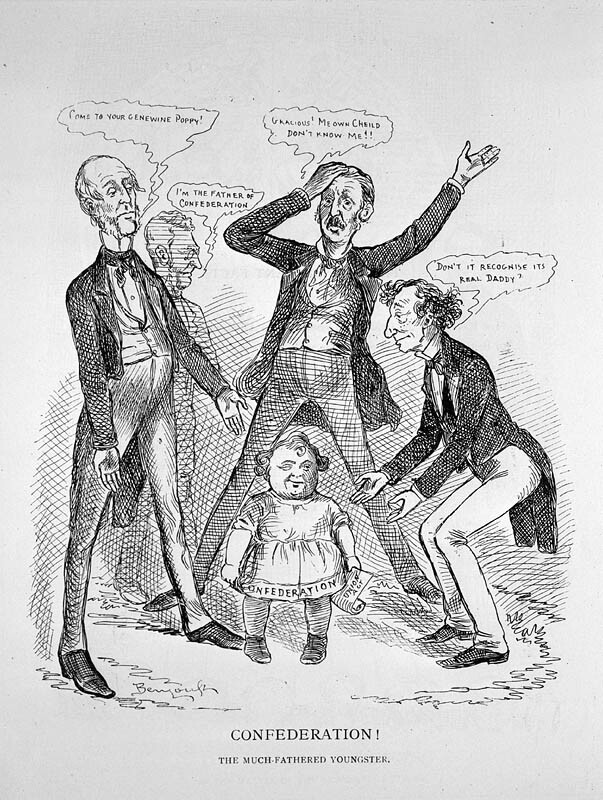 ​The marriage of Canadian Confederation often cracks along French-English lines. The two solitudes spent centuries as ferocious rivals in Europe and in North America, before their colonial offshoots united as the Dominion of Canada in 1867. The Convention of 1818 was a treaty between the United States and Britain that set the 49th parallel as the boundary between British North America and the US across the West. The Dominion Police was originally a small protective force organized by the federal government in 1868 to guard the Parliament Buildings in Ottawa following the assassination of Thomas D'Arcy McGee. Dominion of Canada is the country's formal — but rarely used — title, first applied to Canada at Confederation in 1867. Today, the word Dominion has fallen away in common usage in both private and government circles. 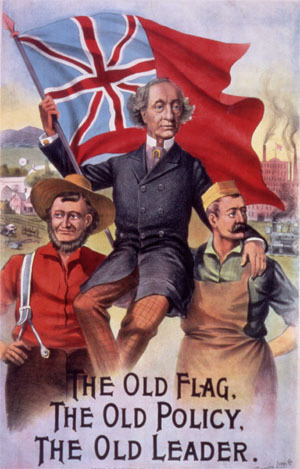 The National Policy was a central economic and political strategy of the Conservative Party under Prime Minister John A. Macdonald, and many of his successors in high office. 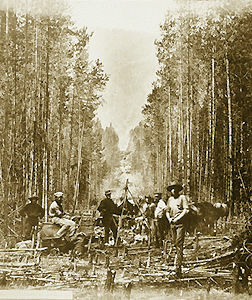 It meant that from 1878 until the Second World War, Canada levied high tariffs on foreign imported goods, to shield Canadian manufacturers from American competition. In 1982 Canada "patriated" its Constitution, transferring the country's highest law, the British North America Act, from the authority of the British Parliament — a connection from the colonial past ­— to Canada's federal and provincial legislatures. 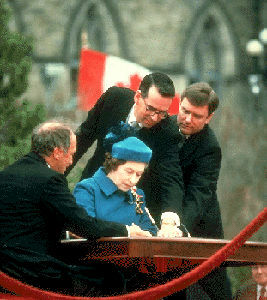 In April 1982, as an Ottawa winter turned into spring, Queen Elizabeth II made her eleventh visit to Canada. She had come to make it official: after more than a half-century of trying, Canada would have its own constitution. The SS Queen Victoria played host to crucial discussions about Confederation in Charlottetown harbour in 1864. Two years later, the ship was lost in a hurricane off Cape Hatteras. The wreckage has never been found. Naming a country is no small task. The name should evoke feelings of pride and strength and reflect the character of the land and its people.